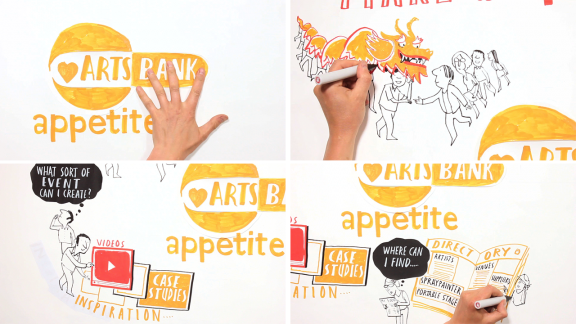 Appetite Arts in Stoke on Trent have set up an Artsbank of advice, inspiration and contacts to help people putting on or planning an arts event. Here’s an animation to explain how it works. Want to stop the closure of your local pub or library? Or have more of a say in new building developments? My Community is a website of resources to help communities take more control of their environment and buildings. 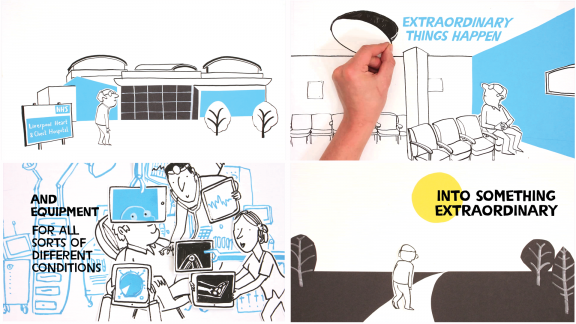 They commissioned a series of six 1 minute explainer animations to accompany each section. 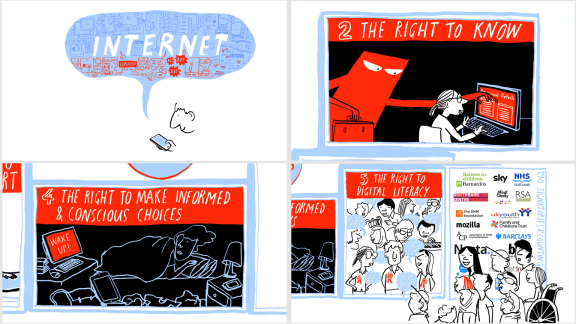 iRights are five rights to empower young people online. 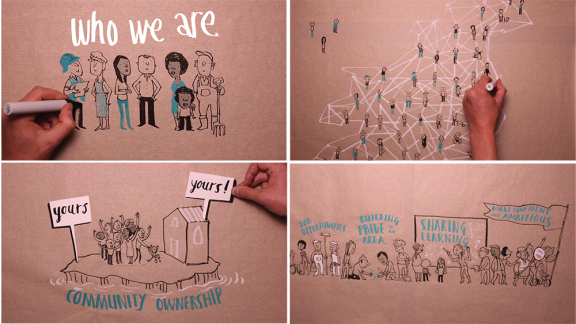 Cross Street Films commissioned this short animation to explain to young people what they are. Find out more at www.irights.uk. The Cheshire & Merseyside Rehabilitation Network is a partnership of nurses, psychologists, physiotherapists and anyone else you’ll meet on a road to recovery from a serious injury or trauma. They’re spread across the area’s specialist inpatient rehabilitation units, to give patients the best possible chance of recovery. What role do Healthcare Scientists play in the NHS? 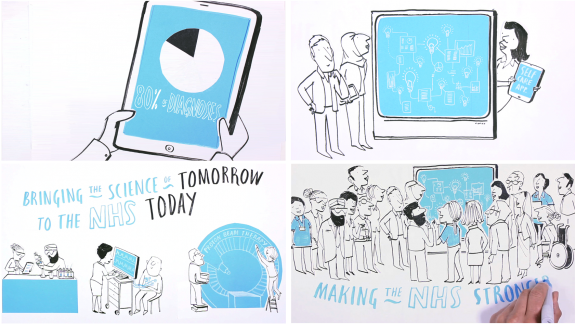 Find out all the important things they do in this animation commissioned by North West Healthcare Scientists Network. Written by Matt Cook. 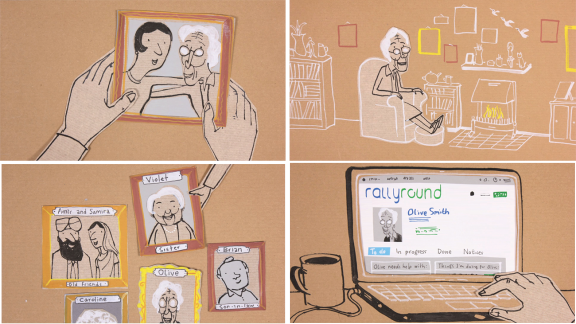 Rally Round is a way of coordinating care for a elderly friend or relative. Health2Works commissioned this short explainer animation to explain how the service works, telling the story of Olive in glorious stop motion. Written by Matt Cook. 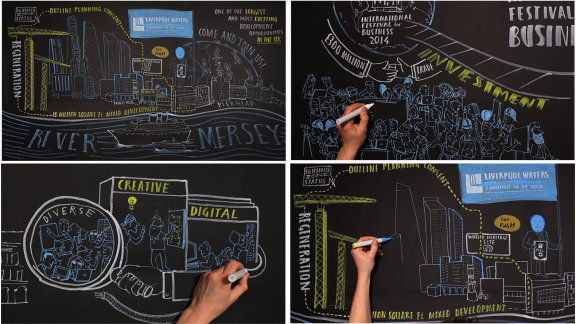 These animations were used to represent Liverpool at the 2015 MIPIM International Investment Showcase in Cannes. Short interviews with some of Liverpool’s business and development key players, made pretty with speeded up drawing on lovely black paper and looped throughout the 3 day event. AMEND, the charity for people with Multiple Endocrine Neoplasia, commissioned two films to help explain what the disorder is. In 2015 these films won a Highly Commended at the BMA Patient Information Awards. 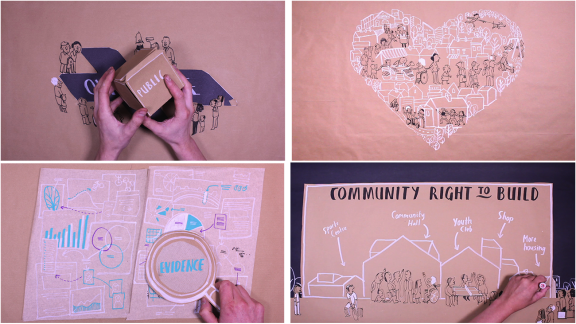 An animation for Locality, a national network of community-led organisations, describing what they do. 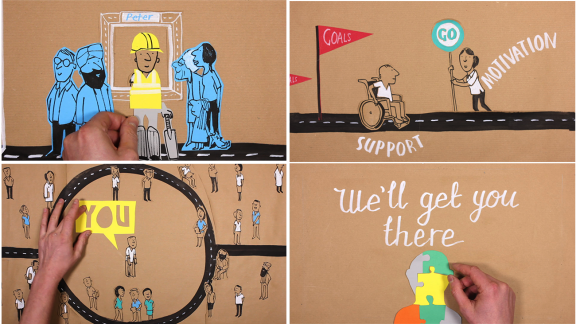 Since this animation, Locality have used these hand-drawn characters to illustrate publications, and further animations to explain different projects and opportunities. Animated using speedy drawing and cut-out stop motion. In 2013 David Bond’s brilliant documentary, ‘Project Wild Thing’ went on general release, about trying to reconnect young people with Nature. Featuring animated sequences by yours truly, a result of 2 weeks working with Scriberia in a pile of cut-outs, paper and glue. Here’s an excerpt describing the Science of Nature. 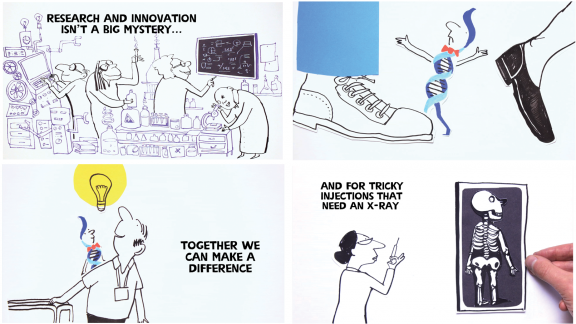 The Liverpool Heart & Chest Hospital commissioned this animation to persuade patients to get involved in research. 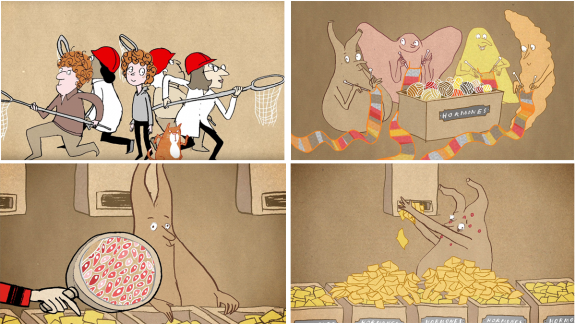 Mainly stop-motion, involving stacks of cut-outs and patience. 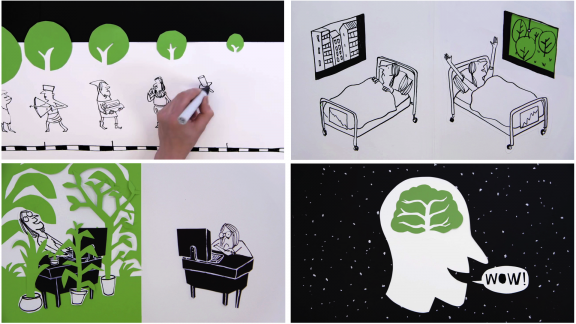 The North West’s leading neurological hospital, the Walton Centre, commissioned an animation to launch their Bright Ideas Campaign. Staff were encouraged to submit their ideas of how to improve their service. The lead character, Ivan Idea, came from a staff competition. 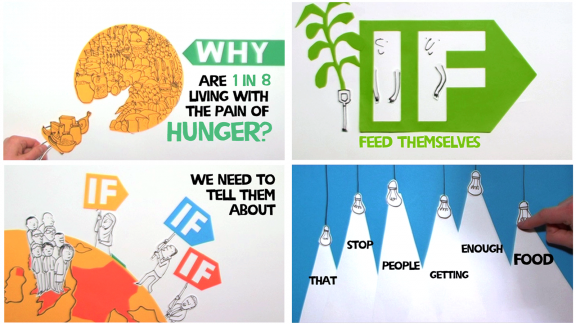 An animation to launch the global charity campaign, Enough Food IF. In 2013 the leading charities across the world came together to campaign against hunger, introducing 4 simple ‘IF’s, that if followed would ensure there would be enough food for everyone.